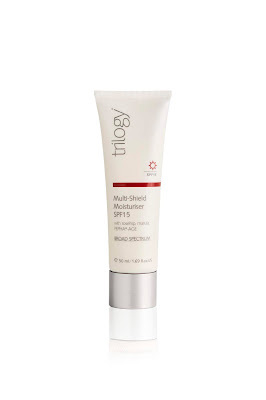 If you’re serious about preventing premature ageing and keeping your skin looking its best well into your golden years, you’ll know that protection from UVA and UVB rays is no longer enough. Evolving research confirms that blue light – emitted from the sun and our digital devices – is also a major downer for our skin, and as we’re increasingly attached to our digital devices, its effects are already making themselves known. With millennials checking their phones an average of 150 times a day, and a 2016 report finding that the average US adults clock up more than 10 hours of screen time daily, we’re getting significantly more blue light exposure than we used to from the sun alone. Blue light (also referred to as High Energy Visible or HEV light) poses potential skin harm via free radical generation, as it induces oxidative stress in live skin. Even worse, blue light has the ability to penetrate deeper into the skin compared with both UVA and UVB light, all the way to our dermis, where our collagen and elastin live. In addition, it also compromises our beauty sleep by way of disrupting our natural circadian rhythm. 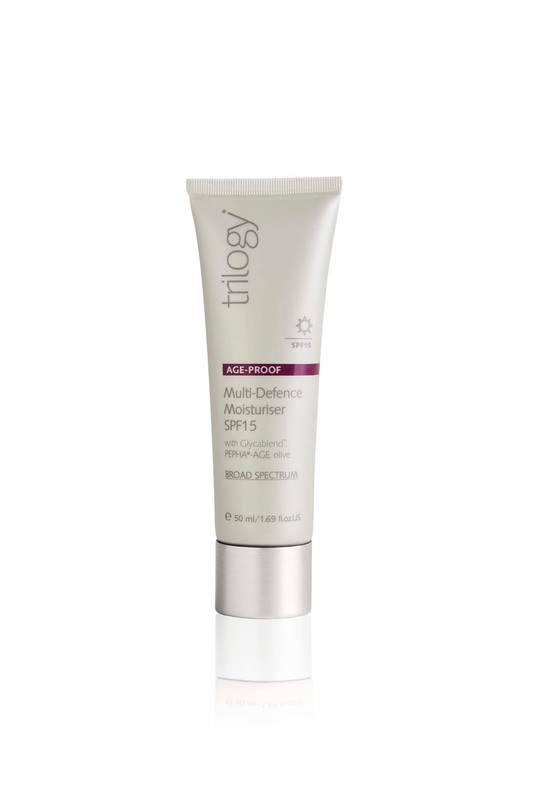 All of this has meant that many conscious beauty brands have started addressing the issue of Blue Light, the latest being New Zealand natural skincare pioneers, Trilogy. Their improved SPF moisturisers now come with the breakthrough Blue Light defence super-ingredient PEPHA®-AGE, designed to deliver everyday hydration, with the added benefit of shielding all skin types from light aggressors inside and out. PEPHA®-AGE is a breakthrough natural super-ingredient scientifically proven to protect and support the skin’s natural barrier of defence against natural and artificial Blue Light damage. Naturally derived from freshwater Algae, it is rich in Vitamin B3, zinc and amino acids which work at both the epidermal and dermal layer of the skin to stimulate the production of collagen and elastin to improve the skin’s overall appearance. Pretty clever, huh? 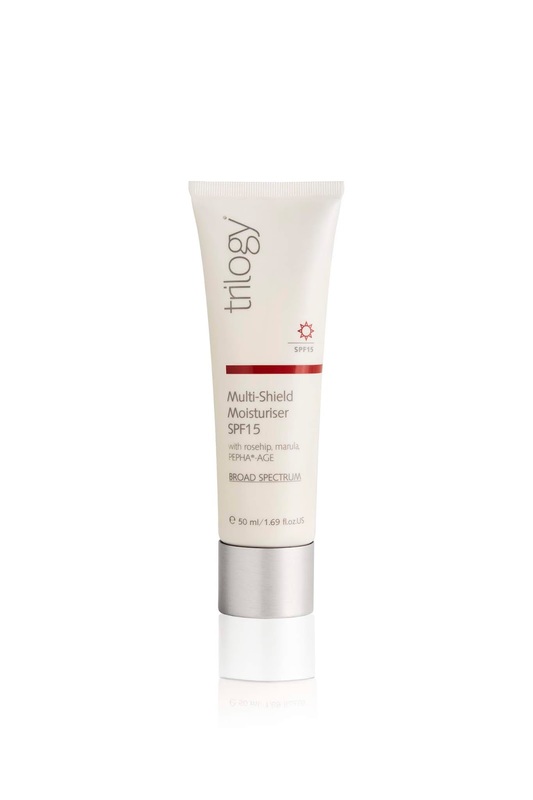 The two Trilogy formulas that now come with this technology are Trilogy Multi-Shield Moisturiser SPF15 - a high-performance day cream – and Trilogy Age-Proof Multi-Defence Moisturiser SPF15, a richly textured, high-performance moisturiser that nourishes and softens skin while helping to smooth fine lines. So if you love natural, efficacious skincare and also want to increase your defence against the effects of Blue Light, these two definitely come highly recommended. Oh and before you tweak your skincare regime – check your tech use. Night mode on your phone is a better option, and the best is that digital detox you know you should be doing on the regular.